In the 8th century Nara was the capital of Japan and the place where the tastiest Japanes sake and food was brought together. This indicates that the origins of Japanese food lie in Nara. 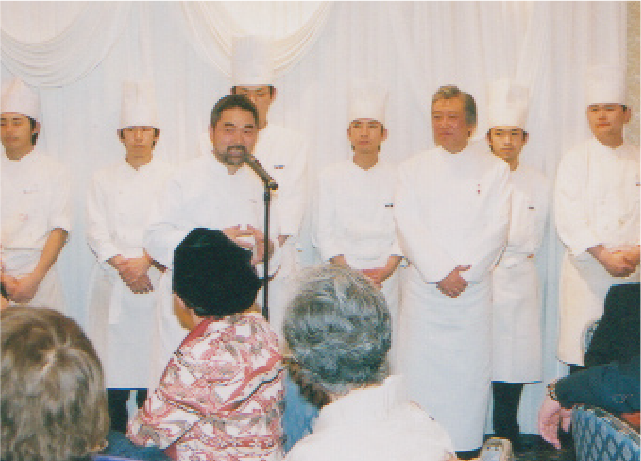 Without a doubt, we have inherited our ancestors’ love of gourmet food in our DNA, and with this in mind, we opened the French restaurant “Le BENKEI” near Yamatokoriyama castle in December 1975. 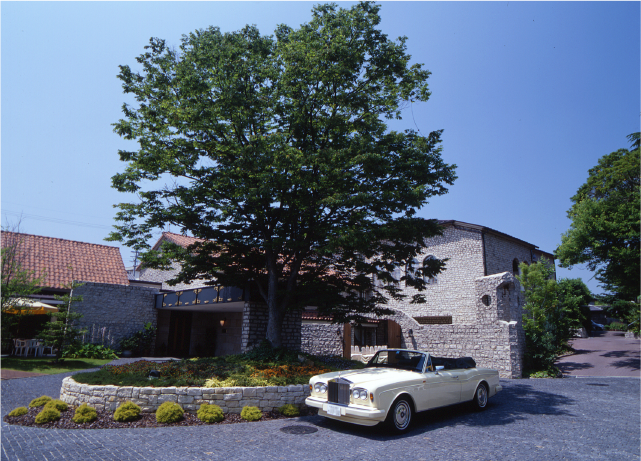 From the day of our establishment in 1975, we have valued our relationships with our customers and developed strong ties with them. Whenever you have a special day in your life, such as a wedding ceremony (party) or birthday party, we are more than happy to help you enhance the wonderful relationship you have with your loved ones. Despite occasional difficulties, we have been blessed with meeting so many wonderful people over the years. 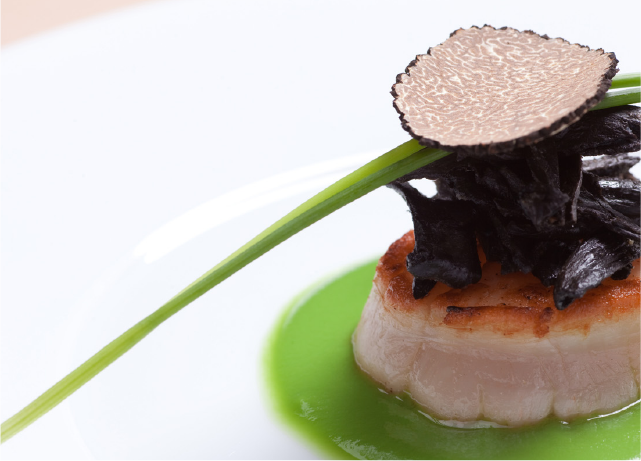 We have been open as a French restaurant for 40 years, thanks to our faithful customers who have often visited us. It is this connection with our customers that has sustained us. Flavorful and nutritious seasonal ingredients, our expert culinary skills, and our servers and sommeliers, are indispensable elements of our cuisine. However, we think the most important factor is to make food with our whole heart. Our chefs would like to express their energy through their dishes. Awarded The Order of the Rising Sun, Gold Rays with Neck Ribbon 2017 Spring. 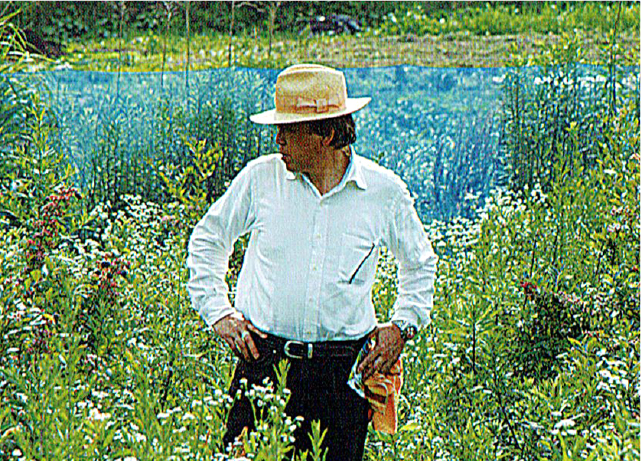 Kinji Ogawa was born in 1945. He has long cooperated with local producers who cultivate the flavorful vegetables and natural food in the mountains, and he has explored French cuisine using these traditional ingredients. Commendation by the Minister of Land, Infrastructure and Transport; Commissioner of the National Tax Agency Award; Commendation by the Minister of Finance. 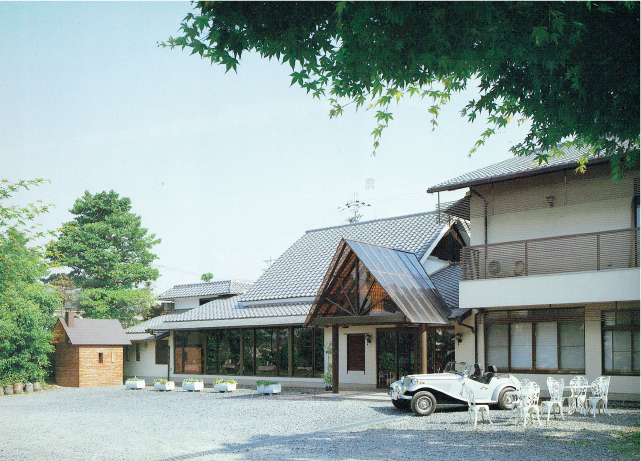 Forty years have passed since the establishment of Le BENKEI in Yamatokoriyama City. Under the slogan of “local production for local consumption”, we have been supported by many people for a number of years. 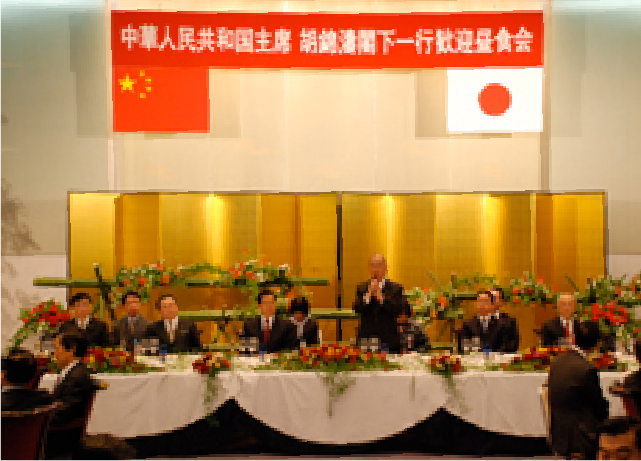 Against this background, we have graciously hosted banquets for very important people and distinguished guests from many foreign countries. As an expression of our gratitude, we shall introduce a short history. 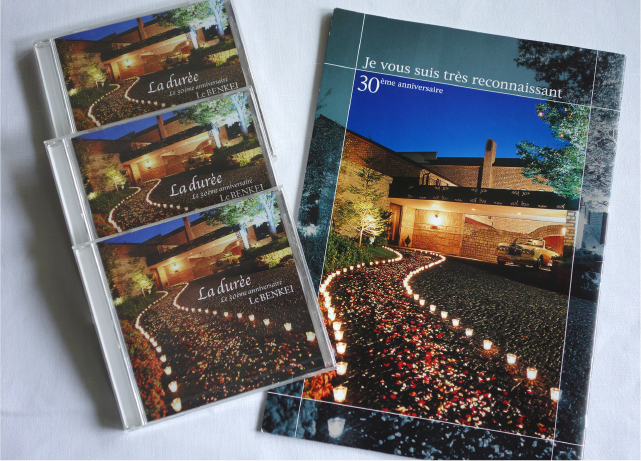 The French restaurant “Le BENKEI” opened, located on the the site of Bukeyashiki (an old samurai residency) around Koriyama castle. The owner originated a new style of French cuisine by using chopsticks and using Hinomaru-Bon, which was the name given to the plate mat used at Todaiji Temple. 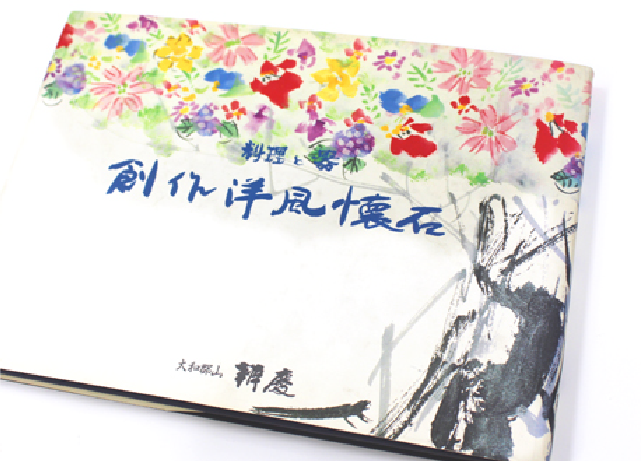 We published a book on Le BENKEI’s cooking and philosophy. We established a new company specializing in western confectionary and bread. 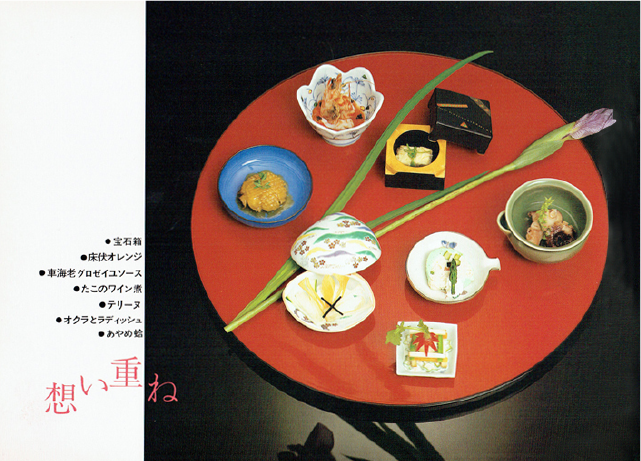 For our tenth anniversary, we published the book entitled “Ryori-to-Utsuwa (Cooking and Serving dishes)” and “Sousaku Yofu-Kaiseki (Creative Western Kaiseki Cuisine)”. Co,. 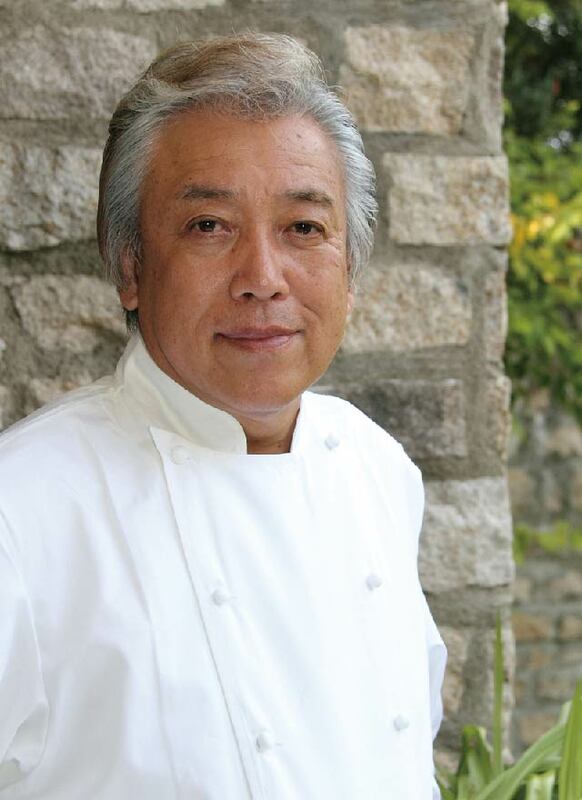 LTD. Gourmet House was established, and Mr. Kinji Ogawa took up the position of Representative Director. We opened “PATISSERIE DE AMBIANCE” as a take-out only, which is located at JR Koriyama Station. 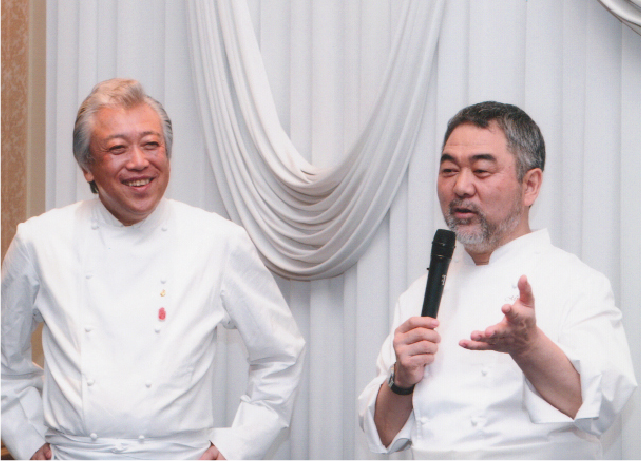 We announced a collaboration between Yamato’s (Nara’s) vegetables and French cuisine. We opened the branch shop “PATISSERIE DE AMBIANCE”, which is located at Kintetsu Nara Station. Completion of our building. We entirely redesigned the restaurant and reopened it as an authentic French Grand Maison (the highest quality restaurant). We opened the candle shop “BOUGIE” café “R/B”, and chapel “St. Valentine”. We were honored to serve the Ambassador and his wife from the Republic of Croatia. We were awarded the Silver Award by the Public Interest Incorporated Association Japanese Dietary Habit Culture Foundation. 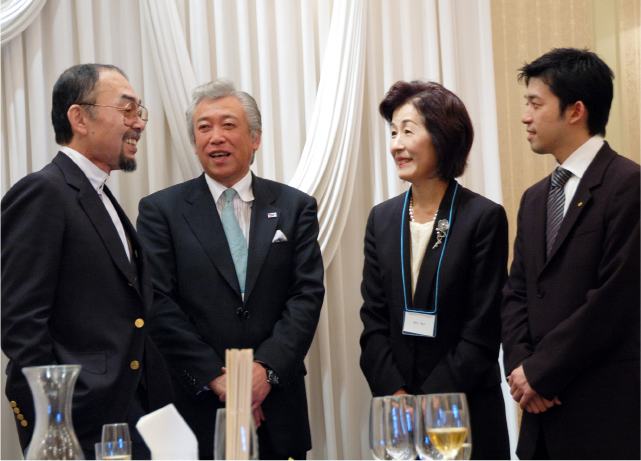 We held a collaboration event with Mr. Kiyomi Mikuni. 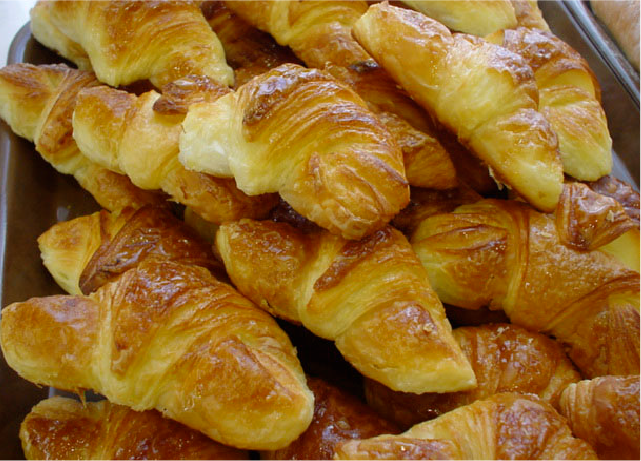 We opened the second store in Kintetsu Koriyama Station “PATISSERIE DE AMBIANCE”. 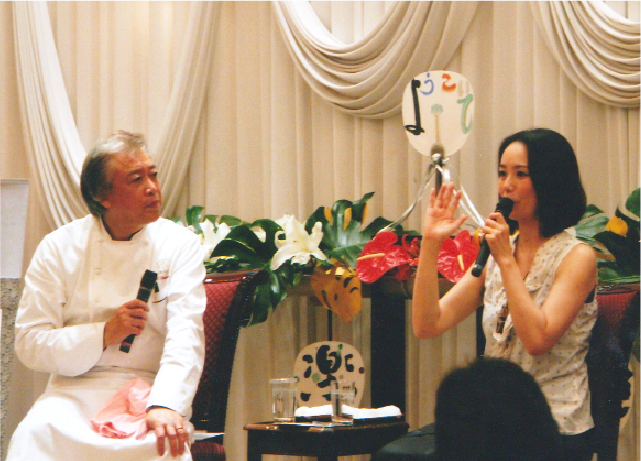 We held a Dinner Show featuring Ms. Yumi Nakamura. We donated them to the kindergarten in Koriyama city in commemoration of our 30th anniversary. The Late Prince Hirohito Mikasanomiya visited twice. Lecture by Dr. Omura, an archaeologist, who has been involved in excavations in Anatolia, Turkey. 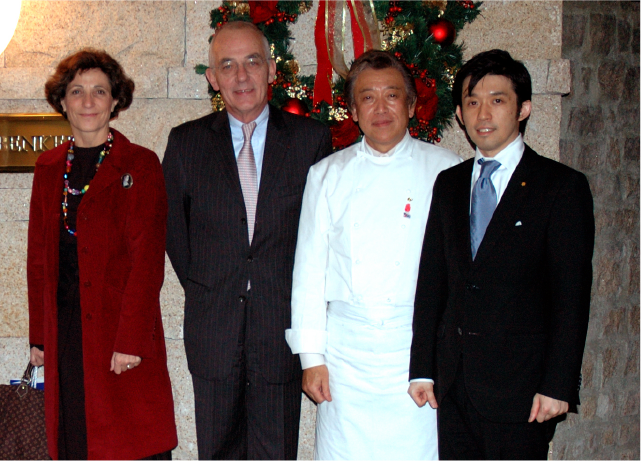 We were honored to serve the French Ambassador Le Riddick’ couple. We held a Paul Mauriat Memorial Concert, and invited Mr. Gilles Gumbus. We started beekeeping in our area. We were awarded a prize by the Director General of the National Tax Agency. We held a talk-show with Ms. Yoko Kirishima and Mr. Kingi Ogawa. featuring the famous actress Choi Ji-Woo. We were awarded a prize by the Ministry of Land, Infrastructure, Transport and Tourism. 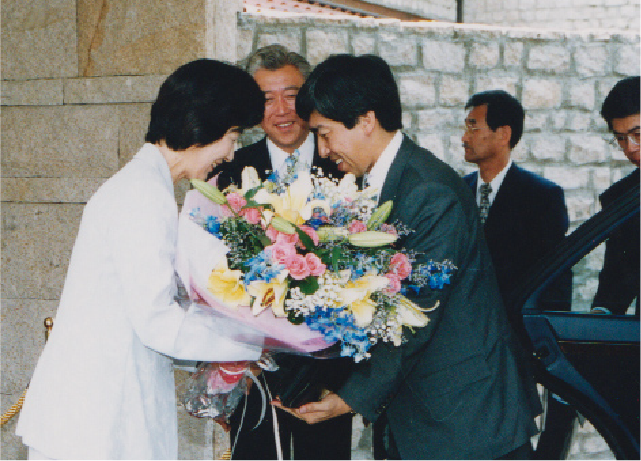 Crown prince Naruhito bought our products. 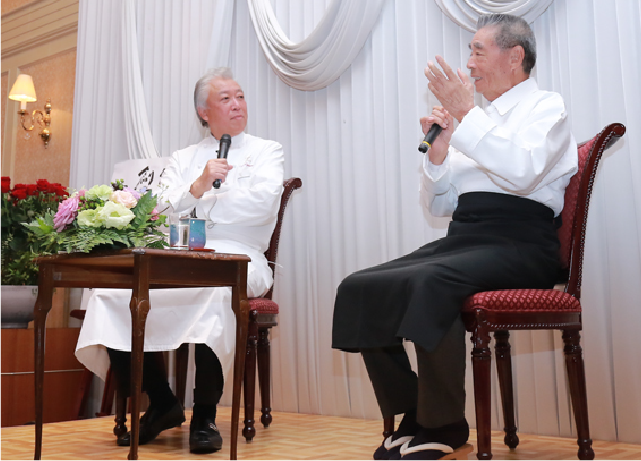 We held a collaboration event with Mr. Rokusaburo Michiba who is the Iron chef of Japanese in commemoration of our 40th Anniversary. Copyright(C)Le BENKEI All Rights Reserved.